Getting started with your aquaponics system is pretty straightforward once you have the know-how. We will be doing a step-by-step guide to setting up a small system soon, but first I thought it would be useful to talk about the science behind getting your system ready for fish and plants. There are two options for cycling your system, with fish or without. Getting your system ready so that the right bacteria have established to convert the fish waste into plant food is essential before you start any growing, and to make the water safe for the fish. 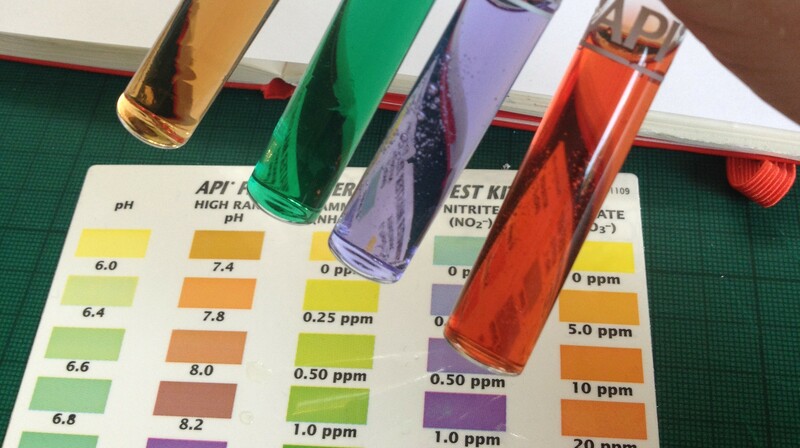 We think fishless cycling is much more straight forward as your are not panicking about levels of ammonia and nitrite shooting up and potentially poisoning the fish in the initial stages. The cycling process usually takes about 3 weeks.